Finally, tomorrow I am leaving for North Cyprus!! I have been watching the girls play EC for a week and I want to play too!!! This time it is 9-ball and we start thursday. There will be a mens Eurotour at the same time so it will be busy but good! 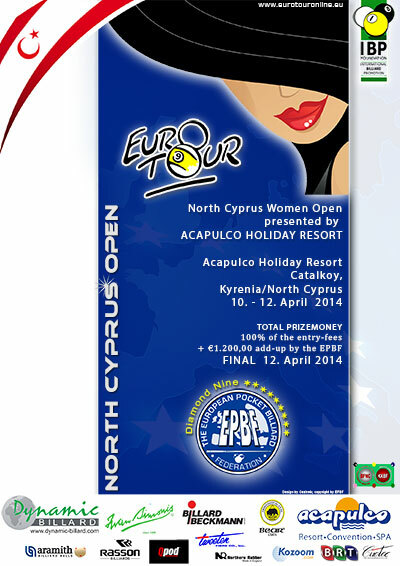 You can find information, results and draw on eurotourwomenonline.eu and Live stream on Kozoom.com. I will update if I can during the tournament. – 24 hours delay on getting to North Cyprus, had to stay in Amsterdam again! – Met Katarzyna Wesolowska ( European Champion 10-ball 2014) next morning WITH my cue but dead tired.